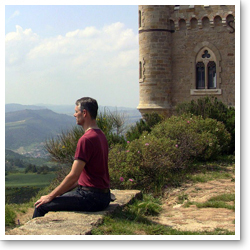 Welcome to our online program, The Five Keys to Taoist Energy Arts. 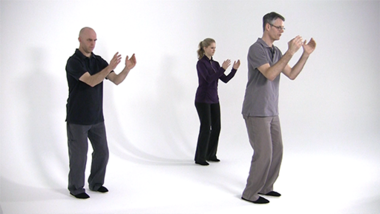 This qigong course features Energy Arts Senior Instructor Paul Cavel who has been teaching for nearly 20 years. He has created a program that takes five specific exercises that every serious student must learn and master to be good and eventually great at qigong, tai chi and bagua. You could also call these Five Key exercises the Secrets to Longevity or the Secrets to Great Qigong, Tai Chi and Bagua. 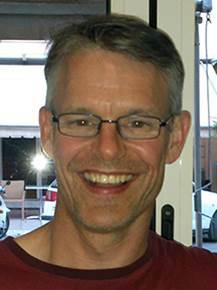 Paul is a gifted teacher who is fully dedicated to these arts, teaching and traveling full time in Europe. 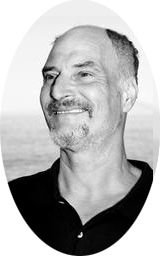 I have seen him help others build extraordinary energetic foundations in their bodies. Paul is able to embody the arts and break them down into easy steps, so that you have the best chance of success and progress to great depths with these powerful Taoist energy arts. 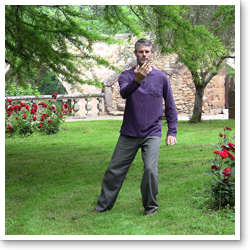 The Five Keys take one core exercise from each of my foundational qigong sets, applying the Pareto principle states that 80 percent of the results come from 20 pecent of the work. With these Five Keys you will learn practices that are at the core of each qigong set, tai chi and bagua. This program also serves as an excellent introduction to see what Tao arts and qigong sets you are naturally drawn toward studying. There is an old saying, “It is better to do one thing well then a thousand things poorly.” I truly believe this program can help you learn core fundamental principles, that if done well, will better your practice. This is true for beginners and especially if you are interested in advancing to the highest levels. If you already practice any of the sets that are part of this program, you will discover deeper and deeper layers, rooting out your weaknesses and growing your potential each week. Whether you want to recharge your current practice or learn the fundamentals for the first time, The Five Keys to Taoist Energy Arts is great way to create a daily practice ritual now to keep your body energetically fit and healthy. 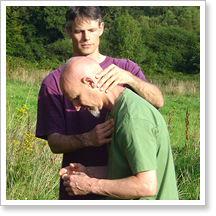 For over 25 years I’ve studied Tao arts in-depth, including qigong, tai chi, bagua, Tao meditation and qigong tui na. Through my own courses, one-to-one coaching and assisting my teacher on international instructor trainings, I’ve helped train thousands of students since 1995. After years of teaching, I noticed that senior executives, lifetime martial artists and other athletes were often coming to me to boost performance and heal their bodies from injuries sustained from their sport. So I became a certified sports injury and deep tissue therapist to better integrate Eastern training methods with the Western mindset. Over the years of training with my teacher, I’ve always focused on the questions, “What components are at play to create the synergy and fluidity that only masters seem to embody?” and “How can I train component pieces and integrate them in ways that improve my overall forms?” As a teacher totally committed to helping my students develop methods for achieving their goals, I’ve searched relentlessly for the most efficient and effective methods for creating positive change in body, mind and qi. I came to realize that five key exercises from my teacher Bruce’s qigong program form the foundation of all other exercises, including highly sophisticated and refined Tao arts like Gods Playing in the Clouds, tai chi, bagua and even Tao meditation. I’ve found that a concentrated, in-depth focus on these five exercises, the “Five Keys,” as I like to call them, often lead to personal development in my clients and students beyond my and, more importantly, their expectations. For many years, I have emphasized these component practices in just about every course I teach, and the results people have achieved have ranged from overcoming debilitating injuries, restoring balance in their bodies to improving focus and mind-body awareness to being able to concentrate better, especially for prolonged periods. I’ve watched as stress and tension has melted away and been replaced with a vibrancy and sense of life that is becoming too rare in the modern age. Two important factors make the Five Keys so powerful. The first is that once you develop skill in one key, you can put that key into any energetic practice. A qigong set or movement form is just a container for internal techniques, called neigong in Chinese, which translates as “internal power development.” The beauty of the keys is that the benefits you achieve from practice can be applied to any exercise you train. Whether you practice healing, martial arts, qigong, tai chi, yoga or meditation, by mastering the Five Keys you will increase the quality of your movement and potential qi power. The second big realisation that I found both in my own body and in working with my students is that when you put two keys together, the result is not addition, such as 2+2+2+2=8. Instead, the results multiply, like 2x2x2x2=16, creating exponential qi power in the body. Over time and with dedicated practice, you can seriously boost qi development in a progressive yet safe manner. This is particularly remarkable because the exercises are so simple, just about anyone who can stand up and walk around can do them. My Five Keys program is particularly suited to two types of students. 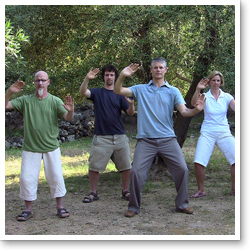 The first is those who want to learn qigong from the ground up. If you’re learning Tao arts for the first time, you’ll walk a dramatically easier path by focusing on the fundamentals right from the start. You will learn the best methods and techniques to feel and cultivate your qi. However, this program is equally suited to experienced internal arts students and instructors who want to deepen their internal technique and energetic level. This program can help you release the tension and subtle blockages in your body, so you can accelerate your learning and attain a much higher skill level. It will also help teachers build lesson plans to help their students do the same. I’ve designed the program, so that in just 10 weeks you can experience real results in your body, mind and qi. Of course, what you can achieve always depends on the accuracy and consistency of your practice. My program will teach you methods for precise training that yields benefits with just a few minutes of daily practice. I look forward to training with you over the next 10 weeks in The Five Keys to Taoist Energy Arts course. You often see people take up a sport and practice it for years without noticable improvement. Why is this? Often it is because they do not understand the fundamental movement structure. They also do not practice the MOST important parts that will make the difference. This is the case from everything from golf to yoga to tai chi. A secret of all those who have achieved greatness in what they do is to practice the component parts that make the difference. This is also the secret to great qigong and tai chi. If your breathing is poor, how can you be relaxed and flowing? If your alignments are offline, how can qi energy flow effortlessly? If you do not have circularity in your form and you constantly stop and start, you are creating the opposite of what you wish to achieve in your qigong and tai chi practice. The Five Keys breaks down the most important components that you need to master Taoist energy arts. I have used this myself and taught thousands of people. These keys work and can help you improve any type of energy art. The Five Keys are the building blocks for greatness. I’ll deconstruct each Key, step by step. I’ll show you the most effective methods. I’ll guide you and give you practices that you can use to make a quantum leap in your practice. 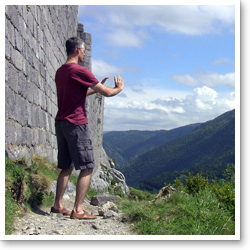 “You won’t find a better guide into these core practices of qigong, tai chi, and other internal arts than Paul Cavel. His teaching is clear, concise, extremely well-organized, and fun. Whether you’re a beginner or an advanced practitioner or teacher this is an invaluable program. “I regularly reach out to Paul when I want more insight into how to structure my training. He is incredibly articulate about stages of practice, how different sets are interwoven, and exactly what attributes will be developed by the different components of the art. I’ve had the great opportunity to partner with my teacher, Bruce, to create a ten-week programme that will systematically build your foundation for all qi gong, tai chi and bagua forms—incredibly detailed and multifaceted arts considered to be lifelong practices. Each of the keys can be practiced alone or in tandem with any or all other keys to boost the benefits of Tao arts training. Over this ten-week course, you will learn each of the Five Keys in-depth and weave in specific aspects of the horizontal (turning and twisting) and vertical (bending and stretching) planes of motion, supercharging and strengthening your core with each progressive lesson. Working with the horizontal and vertical planes together is what allows you deeper access to your insides. It also forms the basis for circularity and eventually spherical work in the internal arts, which all dedicated internal arts students aim to achieve. Deep breathing techniques have been used by spiritual traditions since the dawn of time. Almost every stress reduction system of the modern age also includes some form of breathing exercises because breathing can be so helpful for calming the nervous system during stressful events and gaining access to your inner world. Are a tool you can use anytime, anywhere to increase the circulation of blood and other bodily fluids, which are responsible for delivering life-sustaining nutrients to and removing waste by-products from the cells of your body. Enable direct access to your nervous system to relax your body and mind–the necessary prerequisites for healing and achieving high-performance results of any kind. Serve as the bridge to genuine meditation practice. 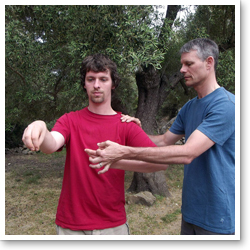 Standing Qigong, including sinking qi and the Outer Dissolving technique will help you achieve proper postural alignments to ensure safe internal arts training, including to relax deeply and sink your qi–necessary prerequisites for Tao meditation, specifically Inner and Outer Dissolving. More firmly ground and root your energy. Help you become aware of physical and energetic blockages inside your body. Clear any blockages you encounter in the physical or energy bodies, allowing you to let go and deeply relax. Once you have dissolved any physical and energetic blockages—to the extent that you are able—you are ready to energise yourself with physical movements. Dragon and Tiger Qigong was passed down to Bruce in China from Zhang Jia Hua, a doctor of Chinese medicine. She was extremely proficient in the use of qigong for medical purposes. At one time, she was the vice president of the All China Qigong Association. The first movement from the Dragon and Tiger Medical Qigong system is designed to teach students how to stir up, brush and pull and push qi to release and neutralise stagnant energy. Many students find it difficult to clearly feel qi en­ergy, even after some years of training. Dragon and Tiger Exercise 1 can help you tune into and manipulate the eth­eric energy, commonly called the “aura”, with your hands in progressive stages that can yield profound results. In time and with practice, the heightened aware­ness of qi energy can easily be transferred to other qigong, tai chi and bagua, generating a different quality of motion in all forms and boosting the results you can achieve from your training. Ongoing practice of Dragon and Tiger strengthens and increases the etheric field, making it more tangible with increased spine and organ activity. All of it serves to help you pull and push more qi energy through your system, and achieve deeper relaxation and releases of bound energy. In Chinese medicine, the tiger’s immense strength and responsiveness are traits derived from the liver—hence the tiger is a metaphor for a healthy and strong liver. The dragon’s ability to fly comes from the sophistication of their lungs—hence the dragon is a metaphor for healthy and strong lungs. The weight-shift is the base of Clouds Hands, the first movement in the Opening the Energy Gates of your Body Qigong system. In combination with turning and twisting, practice elongates the muscles and stretches the fascia. Over time and with accurate training, you can loosen the muscles off the bone, giving you greater freedom of motion and dramatically reducing tension. Since Cloud Hands activates bending-and-stretching, turning and twisting neigong in such a profound way, it allows you to access and activate the kwa. This is where whole-body motion becomes a possibility—that which what makes blood circulate more powerfully through your body, drives production of interstitial and lymph fluids and serves as an efficient tool for opening and healing the body. This 3,000-year old movement is unparalleled by any single modern day exercise. In Circling Hands, the kwa exercises go yet deeper into the body, creating a firm yet gentle massage for your internal organs, which further increases blood and fluid activation. In combination with the C-curve, this generates strong hydraulic activity that allows the body to be exercised from the inside out, while remaining extremely relaxed. This is why Circling Hands releases the nerves and generates abundant qi—again, unparalleled technology not available in modern exercise programs. Circling Hands develops the internal content inside the outer shell by upgrading and advancing the neigong exercises by lulling the nervous system into a state of deep relaxation, allowing you to feel, access and upgrade every function in your body. This 10-week program creates a potent synergy that is difficult to beat in 15-20 minutes. Beginners will learn the methodology for creating a firm grounding in neigong, while experienced students and instructors will improve and systematically upgrade their qigong, tai chi and/or bagua practice. Stretch and open the soft tissues of your body, allowing blood and qi energy to circulate more powerfully. Contact and release many layers of tension in the body, mind and qi. Develop your ability to be present, aware, focused and to concentrate your efforts for greater effect. Integrate the operations of your body, mind and qi, so thay more of you is available to focus on any goal you deem worth pursuing, such as healing from injury or illness, increasing health, fitness and vitality or achieving goals in your business, sport, hobby or life in general. In this special program, Paul Cavel will guide you through the Five Keys in a special step-by-step progression.